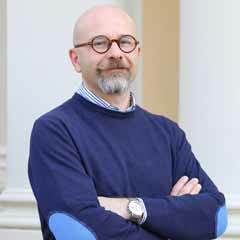 Andrea Prencipe is a Full Professor of Organization and Innovation at LUISS Guido Carli University – Rome, where he has been serving as Rector since June 2018. He is also Visiting Professor at Rotterdam School of Management. He is the Director of the LUISS PhD in Management and Associate Dean for International Development at LUISS Business School. He held Visiting Professorships at Imperial College Business School and Sussex University. He is Associate Editor – Journal of Management Studies. Andrea’s research focuses on the organization of innovation processes in multi-technology contexts; coordination, learning, and routines in project-based organizations and teams; the relationships between regional social capital and firms’ innovation performance.